According to Defence Administrative Orders and Directive # 5002-0, “Military Personnel Requirements and Production” CAF members are seen as “Canada’s most valuable and most difficult to renew resource in fulfilling the defence mission.” If this is true then the question must be asked, why do we spend all our time talking about things and not people? 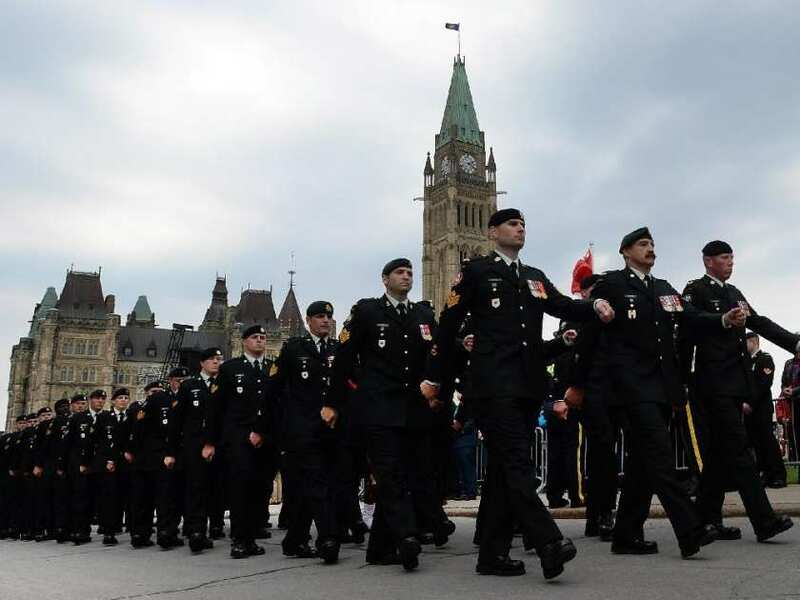 It may be considered heretical to suggest, but the emphasis on the capabilities and characteristics of the various weapons systems and platforms being contemplated for acquisition by the Canadian Forces is not that important. In other words, with all due respect to Doug Allen, it doesn’t matter which is the “best fighter for Canada’, or the best ship, or rifle or tank or whatever. Concern about the technical quality of weapons is not a new phenomenon; however it has reached the level of obsession in the current age. The belief that warfare can be reduced to a digitally calculable exercise is common. But the case can be made that it is not weapons that win wars or battles, but rather the way they are used and the quality of the troops using them. A good example of the fallacy of believing that it is weapons alone that win wars would be the Battle of France. Also known as the Fall of France, the German invasion of France and the Low Countries during the Second World War began on May 10th, 1940. The battle, which ended on June 22nd with the signing of an armistice between France and Germany, resulted in the German occupation of large parts of France and was unprecedented success for German forces. It was commonly believed at the time that German victories at the beginning of the war sprung from their development and use of superior armoured fighting vehicles, specifically tanks. This belief, although widely disputed by historians, is still common. In fact German tanks were, by and large, not as advanced or as numerous as those of their opponents. Much of their armour consisted of early model vehicles which had been designed for training. At that stage of the war the German Army lacked a heavy combat tank like the French Char B1 or the British Matilda. In armament and armour allied tanks featured stronger designs and were more plentiful. It was how the German army used the tanks they had which determined the outcome of the battle. German forces emphasized combined arms tactics which relied on highly mobile offensive units, with balanced numbers of well-trained artillery, infantry, engineer and tank formations, all integrated into Panzer divisions. The Panzer divisions were supported by motorized infantry divisions and used self-contained logistics, allowing for three or four days of combat. It was this concentration of force along with superior command and control which was responsible for the German victory. Only a few months later, during the Battle of Britain which lasted from July until the end of October in 1940 and has been described as the first major campaign to be fought entirely by air force, the German Luftwaffe failed to realize its objective of achieving air superiority over the British mainland. History, some history, reports that it was “a near run thing”, with the British barely able to hold out against larger numbers of technologically similar combat aircraft. In point of fact the British were never in any danger of loosing air superiority over their own country. While it is true that the German force could have done more damage, it is also true that they were quite incapable of achieving their goal of so completely suppressing British air defences that an invasion could have been undertaken or that the UK would sue for peace with conditions favourable to the Third Reich. If one sees it as a contest between a force that had spent over a decade creating an organization capable of defending national air space against one designed for the tactical support of ground forces, as the Luftwaffe was, the results seem more inevitable then if one simply adds up the aircraft numbers, combat ranges and weapons capacity of the opposing forces. It is interesting to note that in the more the ten years the RAF had been planning for such a situation they paid little attention to specific aircraft types. They concentrated on building an air defence organization knowing that, with the speed at which aviation technology was advancing in those decades, any aircraft they could conceive of would be obsolete within years. They successfully counted on industry to provide the right fighters at the right time and concentrated their efforts on building airfields, command centers and research into detection systems (radar). In this case it was not technology but organization that triumphed. It is also true that in many cases western, professional, forces have enjoyed a substantial lead in the quality of their personal over those of their enemies. The Soviet MiG-15 jet fighter was first encountered by western pilots in the Korean War. After the first engagements USAF pilots reported that the performance of the MiG-15 was superior to all United Nations aircraft, including the USAF's newest plane, the F-86 Sabre. In the fall of 1953 Major Chuck Yeager and Captain Harold "Tom" Collins performed a complete evaluation of the first Russian MiG-15 to fall into American hands. Testing revealed that the aircraft was a reasonably good fighter, but lacked the technological sophistication of American aircraft, such as the F-86. Even after allowing for such differences Yeager and Collins determined that the MiG-15 and F-86 were equally capable. Pilot experience and training proved to be the most important factor during dogfights. In support of this belief is the fact that while flying the MiG-15 Maj. Yeager consistently defeated Capt. Collins in mock dogfights. He could also defeat Capt. Collins with equal ease when he was flying the Sabre against Capt. Collins in the MiG-15. In the end American pilots claimed a kill ratio of between 10 and 12 to 1 against enemy fighters during the Korean War. In fact, although American pilots in their F-86 Sabres fought well against Chinese and North Korean MiG-15 pilots, a ratio of something closer to 2:1 appears more likely against Soviet pilots, many of them experienced veterans of WWII air combat, who flew covertly in the Korean War also. It’s all about experience, or so it would seem. As unlikely as it seems many of the lessons of the War in Vietnam have already been lost or forgotten. This was a conflict in which technological dominance played no role in the outcome. The American forces arrayed against the forces of North Vietnam and their South Vietnamese allies could not have enjoyed a greater superiority, and yet the United States lost that war in every sense of the word lost that matters. They lost to an enemy which had focused on their strategic objectives and who never confused tactics with those strategic objectives. In some ways it was the military campaigns in Iraq during the 1990’s and early 2000’s which cemented the belief in the ascendance of technology as the final arbiter of success in war. In fact western forces seemed so dominant that it is now popularly believed that the militaries of other countries can not hope to win against such a force and the only hope of success comes with the use of so called asymmetric warfare. Once again the truth lies somewhere between myth and accepted wisdom. Iraq, and Saddam Hussein, did not loose their wars because of inferior weapons, they lost them because as General Schwarzkopf observed “As far as Saddam Hussein being a great military strategist, he is neither a strategist, nor is he schooled in the operational arts, nor is he a tactician, nor is he a general, nor is he a soldier.” Iraq lost its wars with the west because the same thing could accurately be said about his armies and his generals. Let me be clear that this is not an argument in favour of keeping antique weapons in service or for not purchasing the best material we can afford for our armed forces. The case that is being made here is that in a time (and isn’t it always?) of economic stringency for the Department of National Defence it is important to think about how much of the budget should be spent on human resources. What I am saying is that we must avoid the mistake of saying something like “the individual Canadian soldier is our most important asset”, and then promptly turn to discussions of which new wonder ‘app’ we should acquire, even if it becomes necessary to cut troop levels to afford it. The point that is being made is that if something has to be discarded on the altar of fiscal responsibility let us resolve that what we will not discard is clear policies and doctrine. Given a choice between helicopters and training we will choose training. If it comes down to the latest and greatest ships at the cost of having enough sailors, let us pick sailors every time. If we can’t, or don’t wish, to afford enough of the most advanced fighters then lets build organizations that make the most use out the fighters we do get.